While most agree it’s a good idea, the ongoing transition from color-coded paper files to computers is not without its challenges. Implementing electronic files can take a serious financial investment and present workflow and training issues. Here are a few areas where physicians would like to see improvement … and their solutions for achieving it. With the implementation of ARRA, physicians are spending more time entering and receiving data. Some estimate it takes up to 43% of their day. Often times that data entry intrudes in the exam room, creating a physical barrier between doctors and patients. For that reason, many physicians recommend optimizing technology to make the most of voice recognition systems. Data entry starts in the exam room, and follows the physician to the office. On average, primary care physicians receive 77 electronic notifications daily. While many are important lab results, others are scheduling confirmations from specialists and notices of prescription refill requests from pharmacists. Doctors suggest they could save time on administrative duties, and spend more time with patients if clerks and transcriptionists could perform more tasks. EHRs can cut drug-drug interaction rates, decrease mortality rates among the chronically ill, and identify trends and long-term health changes in patients. In order to make the most of this data, however, there must be a better way for it to be disseminated. Among physicians who use the exact same software, EHRs were extremely successful. But, many have found that one EHR doesn’t necessarily have the ability to work with another. Going forward, physicians say the focus should be on creating interoperability across facilities, specialists, healthcare groups, state lines and patients. Physicians would like to see more data related to population health. If patient data were coordinated nationally – and in real-time — doctors could see how their patients’ health compares to national trends. The aggregation of large amounts of health data could identify patients at high risk for certain health events … and be an important tool in treatment and prevention. Achieving this requires standardizing both medical terminology and coding formats. Without the benefit of cross communication among systems, the opportunity for meaningful clinical analytics is lost. Government regulations require EHRs to contain a lot of information many physicians find to be extraneous and not medically relevant. 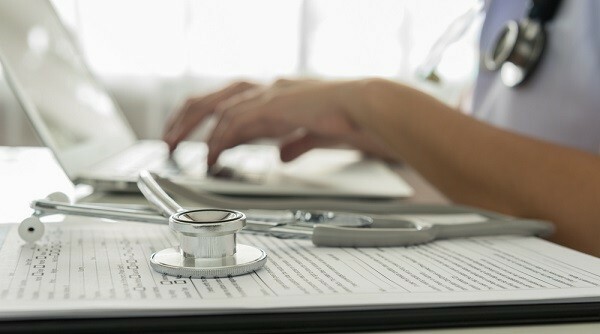 In light of that, the American Medical Association (AMA) has called for a complete overhaul of EHRs to make them more usable. Some suggestions call for eliminating the current one-size-fits-all approach and creating modules for specific users, such as administrators, nurses, technicians, and physicians. Another suggestion is the creation of user-friendly EHR communication tools. These notes contain pre-formatted computer-generated text. When used appropriately, they can improve practice efficiency. When used incorrectly, they hinder efficiencies by providing inaccurate or extraneous information about a patient’s clinical history. For that reason, some physicians have reservations about the records that contain these notes, and have yet to find a viable solution to this problem. Despite the challenges that come with the adoption of EHRs, physicians are committed to their use. In one study, less than one in five said they’d prefer to return to paper medical records. And, yet, many doctors report being overwhelmed by the process. Rates of burnout among American physicians has skyrocketed in the past few years … and many doctors cite electronic records as one of the prime reasons. EHRs are here to stay. And it’s important to continue to find ways to make them work better for the benefit of both the physicians who use them and the patients they serve. Tell us: What challenges do you face using EHRs? What solutions do you have to offer?